This book is a must read for anyone who will be coaching youth sports up to and including high school. It takes the reader through everything he or she will need to know to be successful in youth leagues. Beyond that, the book focuses on young athletes and how to give them their best chances at success. By citing real examples gleaned from over twenty years of coaching at all levels, the author provides an easy, entertaining read. 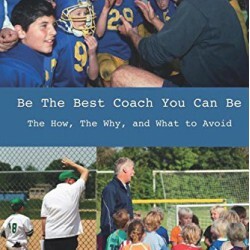 The coaching techniques that are described in the various episodes in this book give the reader a strong foundation for becoming a very successful coach of many successful players.